Scott Weiland, the former frontman of the band Stone Temple Pilots, passed away on the 3rd of December 2015, while touring with his current band “Scott Weiland and the Wildabouts“. As part of Stone Temple Pilots, and also the super group Velvet Revolver (which featured formers members of Guns n’ Roses), he had a formative influence on what music I grew up listening to and playing over my teenage and early twenties. And the albums they came from, all made a lasting impression on my musical preferences and directions. Memories like playing along on my guitar to Plush and Interstate Love Song, are still fresh. As is seeing Velvet Revolver play live, their stage presence, and energy even in a vast arena stadium was immense. Scott Weiland as a frontman was awesome, to line up and share the stage with someone like Slash, takes both character and charisma. Thank you Scott for the music, you will be missed. It’s a blank canvas, in an unspoiled, unblemished pristine state. But sterile and devoid of life, meaning, value, suspended in limbo, waiting to become something. Needing an idea, a creative force, an inspired touch to make it into something. We all have those moments, when there’s a blank moment, a pause, perhaps we’re uncertain about what to do next, or our turn has come and something makes us freeze. We have phrases to describe this state, “Writer’s Block”, “Stage Fright”, “Like a rabbit in the headlights”. Sometimes these are quite public moments, accompanied by a blush of embarrassment, sometimes these are private fears, gripping us in a state of inaction that seem to colour or blemish our lives as long as we remain beholden to them. And so it was with me when I got an invitation to post something to Medium. I wondered… What do I write, and what about? And should I write here at all (what can I add)? To me Medium seemed to positioning itself as a more prose focused and more literary elite content service. Sure I’ve blogged before and will continue to do so, but I don’t think of myself as a real writer-type. I minimised my exposure to essays and other extended prose’s (English and History) as soon as I could exercise choice over my subjects at school. Why would I think I could reverse at situation now? Well I’m going to give it a go, not sure how often, or on what topics. Most probably in line with the type of topics I had post to my TORCH WordPress blog. Certainly I’m not after another separate silo of work or content, I played about with Posterous while it lasted, but it never replaced what I did on WordPress and I don’t think Medium will either. Heck, I may even find I enjoy writing more for the creative outlet that others enjoy from it. In the historic referendum on the question of whether Scotland should be an independent country. The people of Scotland, voted against secession from the United Kingdom. My hope is that in the aftermath of the two campaigns, a stronger and more unified Scotland emerges. Scotland deserves that much at least. Hope for Justice – have challenged their supporters, to help them clock up a total of 12,416 miles – the distance from the North to the South Pole, by doing sponsored walks up and down the country. They call this their Zoe Challenge 2014 and hope to raise around £125,000 to fund specialist investigators, lawyers and aftercare staff. As they work to fight against slavery, and trafficking in the UK. 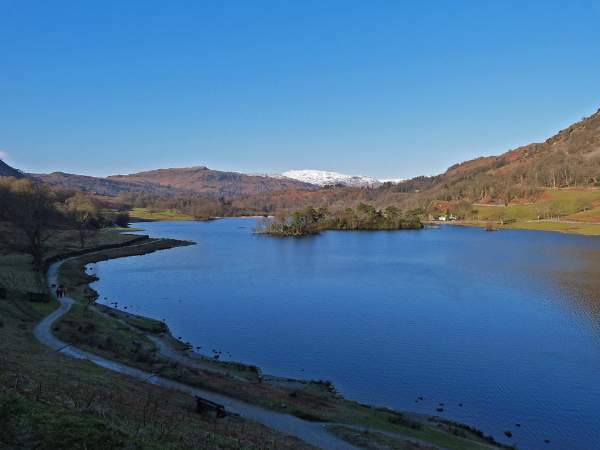 Our walk in the Lakes will be around Rydal Water, and more of a pleasant family stroll, with about 1/2 the party being under 10, and with 3 under 3’s, there sure to be a lift or two offered by parents. Should you wish to help support us, please give whatever amount you feel at this justgiving link. A donation is not necessary, but perhaps you could share or tweet the link too. Anything that helps raise the awareness and the profile of the issue of human trafficking, is support to those that are trapped and subject to such exploitation. A film not to be missed. A timely reminder about the social short falls of a digital orientated existence. Gary Turk on Youtube and Twitter. Happy Birthday and Congratulations to HopeforJustice for another great year! This month we’re celebrating 5 years of rescues and lives restored! We’ve changed the lives of over 200 modern day slaves and started to build a rescue network that will leave perpetrators nowhere to hide! Here’s to many more rescues! Leave a comment HopeforJustice– Happy 5th Birthday! The Campaign to prevent the “Gagging Law” (Transparency of Lobbying, Non-Party Campaigning and Trade Union Administration Bill) going through Parliament in its current state – which would seriously restrict and curb the ability of a large variety of organisations and bodies to lobby and campaign in a period preceding an election by imposing strict funding and activity criteria. because it threatens to stifle public debate on policies that affect people’s lives in the year of an election. This is because the Bill includes a very wide definition of campaigning for “electoral purposes”. It means that, in the year before an election, if Oxfam campaigned on a policy that impacted on the lives of poor people – on the impacts of climate change, or on tax avoidance – and one political party supported our policies but another didn’t we could be seen as campaigning “for electoral purposes” and be breaking the law. Despite serious concerns being raised by charities, think tanks, unions, civil society organisations and the Electoral Commission, the Bill has passed through the House of Commons and is moving to the House of Lords next week without changes Oxfam sees as critical in allowing us to run campaigns on crucial policies in election years. Secondly one that imposes strict conditions and limitations of term absence (holiday) that can taken while a child is in education (term time family holiday rules under The Education (Pupil Registration) (England) Regulations 2006)). Doesn’t the government think that holidays can be a source of education? Two years ago I took my 6 year old to Rome on holiday and he loved it. Soon he will be doing a project on Romans at school. He can say that he has been there and to Pompeii. If this isn’t education then what is ? The government are so narrow minded. This petition is being handed in to the Department of Education next Wednesday 30th of October 2013 in London at 12.00 pm and everyone that would to be there would be very welcome. There seems to be too much effort from the government to remove the ability to think independently from the public. Aided and abetted by not enough thorough thinking on the whole spectrum of implication on the results of these bills by the government itself. This is far from the free-thinking democracy and reasonable and “lawful” self-determination that voting electorate should be receiving from the elected representatives and civil service. The UK Government has postponed the bill to re-think aspects of the bill further. A few statistics have been plaguing MPs for some time. The National Trust has four million paying members; 38 Degrees has 1.9 million (we don’t have to pay subs but sometimes do anyway); many animal or wildlife charities boast 500,000 members. Membership of political parties, meanwhile, has fallen to 1%, or under 500,000 (in the three main parties combined). This means there are more people who care about birds than who can get meaningfully exercised about the victory of any particular candidate. It really shows how and what people are engaging in, or not as the case may be, and politics – by membership of a party isn’t one of them.